We all like to have a good night’s sleep; we feel better when we do and we certainly feel much worse when we don’t. Proper rest and sleep, however, are not merely matters of personal comfort; they are vital to a person’s physical and mental well-being. Furthermore, those without proper sleep are likely to make more mistakes and suffer from more accidents. This is particularly true on working ships, where crew are engaged in both physically and mentally demanding work, at times in dangerous situations and having to fulfill work rosters that are tight and demanding for all on board. To illustrate this easily: for anyone reading who is a parent, remember the first few months after the birth, and the effect that the constant sleep interruptions had on you. Now imagine you have to carry out dangerous work while suffering the effects from repeated poor sleep. You are both physically weaker and mentally less alert. A strong cup of coffee cannot cure that. Over time, fatigue has a severe wearing effect on the human body which can lead to long- term physical and mental issues. It is also a question of whether a ship’s working environment is sufficiently good to entice the crewman to come back after his shore time. The industry continues to face a significant challenge in retaining experienced crew and making the job an attractive long-term career option. Experienced seafarers are invaluable to the safe operation of vessels and to the profitable enterprise they are engaged in. Skuld P&I Club has had to deal with many cases over the years which were either directly related to fatigue or where it played a significant role. These ranged from minor personal injuries to major fires, collisions and groundings. Grounding of a cargo vessel south of Greece where the Master believed he was sufficiently well rested but nevertheless fell asleep in a chair next to the chart table in such a position that the Bosun could not see the Master was asleep. The vessel, on autopilot and with the deadman alarm turned off, subsequently grounded at speed causing severe damage. A Chief Engineer, who had been working extensively on main engine repairs without good rest for almost 2 days, began to undertake maintenance on the vessel’s thermal oil system. He hurried the dangerous task of cleaning out the system of waste material, leading to a significant engine room fire which ultimately lead to his own death as well as further casualties on board. A crewman on board a ship passing the Iberian peninsula suffered a psychological breakdown and had a misadventure that lead to him perishing in the sea. Investigations revealed that the seafarer had served 7 months without a break on the ship, and had joined her without leave immediately after his previous ship service ended. All of these matters were entirely preventable. 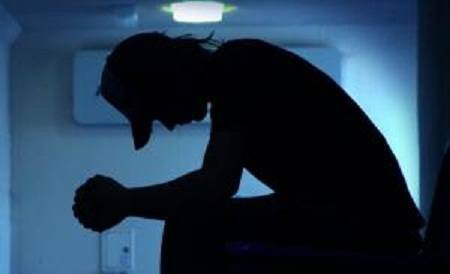 Further information on the issues of fatigue as experienced and reported by seafarers can be gleaned from the International Transport Workers’ Federation’s (ITF) data, which includes information that one in four seafarers has reported falling asleep while on watch, and many report that over time their working hours on board have increased rather than eased off. Fatigue on board ships is, therefore, a major cause for concern. B.at least 10 hours in any 24 hour period; and at least 77 hours in any 7 day period. There are only limited exceptions, and generally it would be a matter of the vessel’s immediate safety with respect to a justified overrun of working hours. A seafarer cannot be asked to exceed his mandated rest/work hours, nor can he be enticed to do so against payment of overtime. The MLC standards are very similar to the requirements under STCW following the 2010 Manila amendments. The MLC and STCW discuss the issue in terms of hours of work and ‘rest’, but rest does not mean the same as sleep. Studies have shown that it is not merely rest that the human body requires, but the key is sleep. And again, it is not just any form of sleep over a period of time that counts. The seafarer, like everyone else, needs proper, continuous and uninterrupted sleep for 7 to 8 hours in order to be properly rested. Being off work for 2 hours, but not taking or being given the opportunity to enjoy a sound and uninterrupted period of sleep will still see a build-up of fatigue over time which ultimately can lead to serious consequences. It is not uncommon, particularly in short-sea trades, for seafarers to follow a 6 hours on, 6 hours off watch routine, often for several days or weeks in succession. With respect to the regulations, this system leaves very little margin for error and research has shown that seafarers following this routine are more likely to be in breach of the regulations than those following the traditional 4 hours on, 8 hours off system, in particular the requirement for a minimum of 10 hours’ rest in any 24 hour period. From a more practical point of view, allowing a seafarer just 6 consecutive hours of rest prevents them from achieving the recommended 7 to 8 hours of continuous sleep. Indeed, when following the traditional 4 hours on/off watch routine, seafarers should endeavour to achieve as much sleep as possible during one rest period, leaving a requirement for a short nap during the other, rather than splitting sleep evenly between the two. It is, therefore, important to ensure that, during training before service, when inducted into service and continuously thereafter, both officers and crew are well educated as to how they should take care of themselves and each other. This should be done in conjunction with good shore-based support that ensures vessels maintain the necessary standards and operate safely. Of course, it is the practical reality on board a vessel and its trading pattern that really determine whether seafarers get the rest they need. Vessels with frequent port calls will have a much more intensive work pattern than a vessel that undertakes long-haul passages and makes only periodic port calls. It is very different to work on a Capesize ship doing Brazil to China voyages as against being on a small container feeder or chemical tanker making frequent short voyages with repeat and fast cargo operations. It is, therefore, not the case that ‘one size fits all’ when it comes to putting the MLC requirements into practice. Careful bespoke planning has to be undertaken for every vessel, including proper passage planning, preparations for cargo operations, repairs and other activities, so that the crew get the rest they need, fatigue is prevented and accidents are avoided. Shipboard and shore-based managers should also bear in mind that compliance with the regulations will not always ensure a seafarer is well rested. Aside from the difference between rest and sleep, a seafarer working 6 hours off, 6 hours on for extended periods, while complying with the regulations, is likely to develop symptoms of fatigue over time. In a recent study of deck officers employed on UK based ferries, 41% of respondents who remained compliant with the regulations over a 28-day period also reported experiencing elevated levels of fatigue. With proper care and attention, seafarers can enjoy a safe and rewarding working environment which means accidents are avoided, crew remain healthy and crew come back to ships, and ultimately that benefits all interests in the industry. Do ensure all concerned are aware of the dangers of fatigue and best practices for preventing it. Do promote flexible watch routines and working practices to accommodate over- burdened seafarers. Do encourage seafarers to take ownership of their own hours of rest and raise potential incidences of non- compliance with onboard management BEFORE they occur. Don’t tolerate falsification of records of rest hours or officers who flagrantly disregard the regulations.